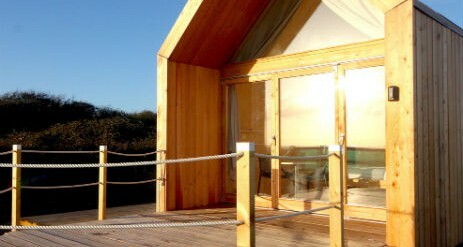 Enjoy a glamping and luxurious stay at Lee Wick Farm near Clacton-on-Sea in Essex in a new and unique Lushna. 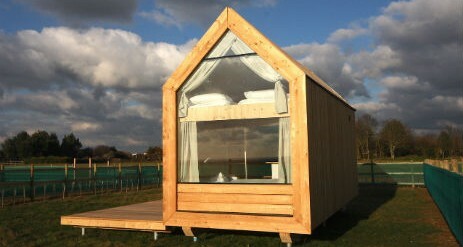 It’s all things great and small at Lee Wick Cottages and Glamping in the north Essex countryside. 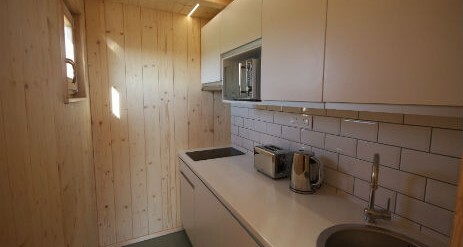 The site itself is petite yet pretty, perfect for families and couples and also offers a CargoPod, Megapods and Armadillos all with their own loo, shower and sea views! Could this be the only glampsite in the country where you can get a side order of spuds when you stay? – the farm focused on potato production before branching out into holiday cottages, touring and glamping, and spuds are still grown on site. Say hi to Robert in the farm office at the top of the lane, where he’ll often be found fulfilling his role of potato merchant. You might also find him around the Livery yard – Lee Wick Farm has stabling for around 12 horses, which should keep equine enthusiasts entertained. Or maybe you’d prefer to cast off instead at the farm’s fishing reservoir, or bag a free pass to the neighbouring Essex Wildlife Trust Colne Point Nature Reserve: the road beyond the farm leads directly to the reserve. We are an excellent base for Essex and Suffolk coastline, countryside and tourist attractions. Our 12 new lushna suites are situated near the farm in a peaceful location with wonderful sea views. Some are perfect for two adults, others ideal for families of four. Rugged on the outside but with great comfort inside, they offer floor to ceiling glass which maximises the panoramic coastal views. Just relax and watch the big skies. There are a range of Lushna Suites – Classic, Lux and Petites, sleeping either just two adults or two adults and two children. 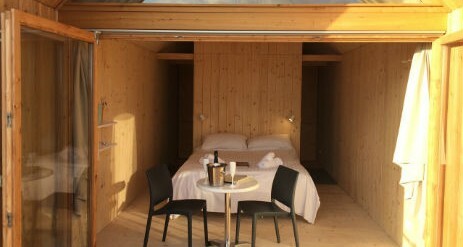 We also have one large Lushna Mezzanine Suite, which also sleeps two adults only or two adults and two children. Self catering cottages, Stable Cottage sleeps from 2-7 people and The Cart Lodge sleeping up to 12 people. We are an excellent base for Essex and Suffolk coastline, countryside and tourist attractions. St Osyth is a small village to the west of Clacton with a few shops and general stores along with 3 pubs and a good fish and chip shop. There are approximately 115 buildings around The village has many historic listed or special architectural including the Priory. Oyster beds can be found at the beach past the village. There are pleasant walking and cycling opportunities around the farm and village. Fishing at our reservoir (not on site) can be arranged as can passes for nearby nature reserves which offer superb birdwatching opportunities, barn owls, little egrets, curlews and and regular sightings of the once rare marsh harrier have been reported. Colchester is nearby and being England’s oldest recorded town there plenty of historical sights to see such as the Castle and The Zoo, voted the second best in the country. The famous Suffolk Heritage Coastline is also a short drive away with towns such as Southwold and Aldeburgh to browse around. Head to neighbouring Wivenhoe for a drink on the quay, or Brightlingsea, ideal for crabbing with the kids. Try Mac’s Plaice for fabulous fish and chips or take the little foot ferry to and from Point Clear. 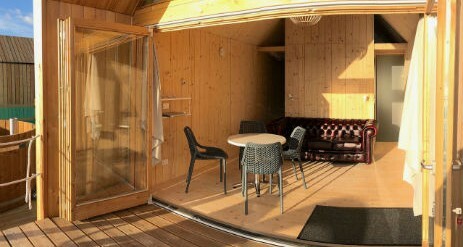 Fishing at our reservoir (please enquire when booking), Approx £10 charge for Pod bookings. Passes for nearby nature reserves, superb birdwatching opportunities. Only for breaks booked and taken from 1st December 2018 – 10th February 2019. Weekends only. 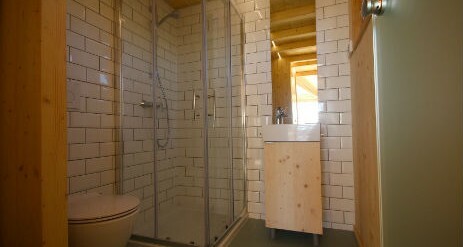 Friday and Saturdays, £80 per night for this period. Please note landscaping work will not be completed until February and will be on going during this period but work will cease at weekends. None of the Lushna Suites will have hot tubs during this period and unfortunately no dogs will be allowed during this time. Full opening from 14th February 2019.